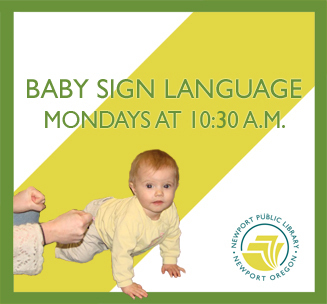 This six week series of Baby Sign Language meets Mondays beginning April 15, at 10:30 a.m. Classes will last 20-30 minutes and meet in the Children's Area. Find books and movies about Baby Sign Language in our catalog.